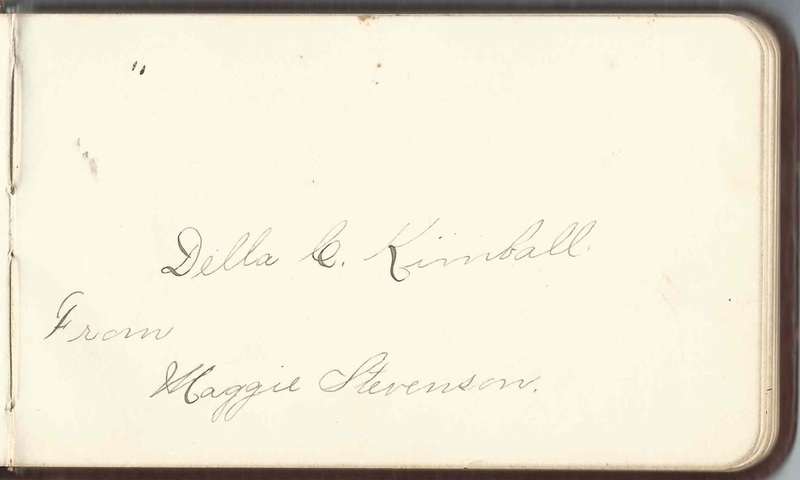 1892 autograph album given by Maggie Stevenson to teacher Ladella Calista Kimball, "Della", at Barre, Vermont. The album contains the signatures of nearly 50 of Della's students. 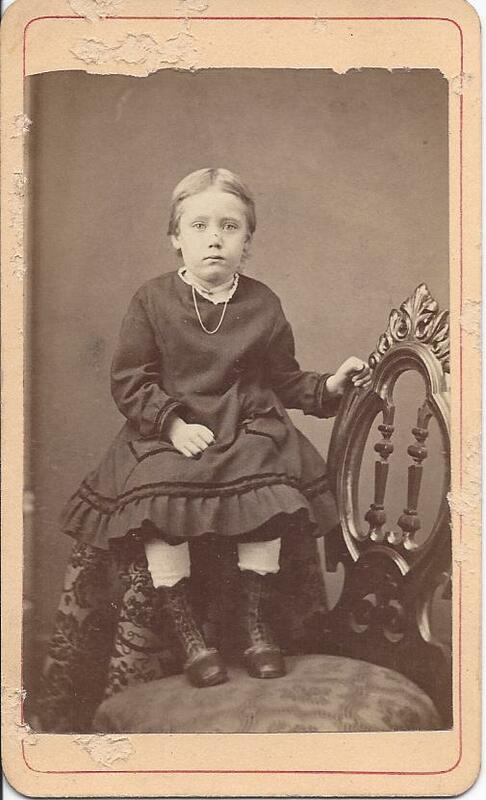 An earlier post featured young Della's 1870s/1880s autograph album, along with a few other personal items, including her 1886 diary and a Carte de Visite of her as a young girl. Ladella Calista Kimball, "Della", was born 24 June 1868 in Brookfield, Vermont, the daughter of Francis Sargent Kimball and wife Calista (Edson) Kimball, who were born at Grafton, New Hampshire, and East Roxbury, Vermont, respectively. 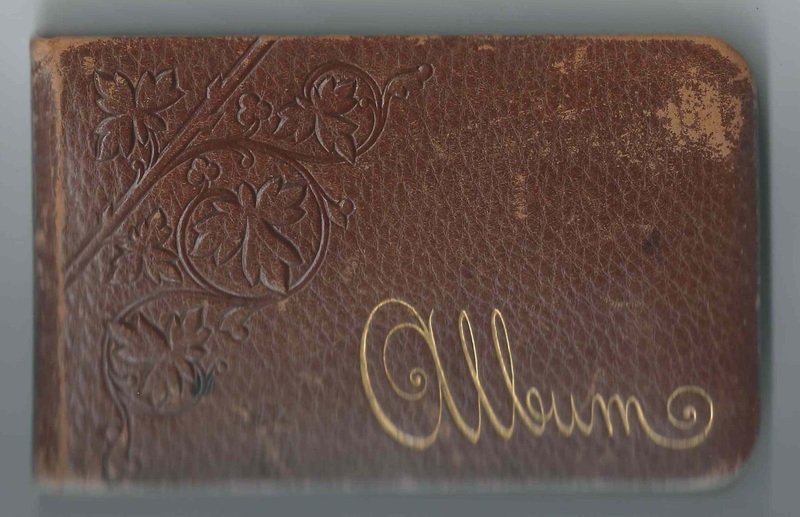 This autograph album measures approximately 7" x 4" and, as noted above, contains the sentiments of nearly 50 of Della's students at Barre, Vermont. An alphabetical surname list and an alphabetical list of the signers, together with any personal information they offered, appear at the end of this post. Della C. Kimball; album owner Ladella Calista Kimball. 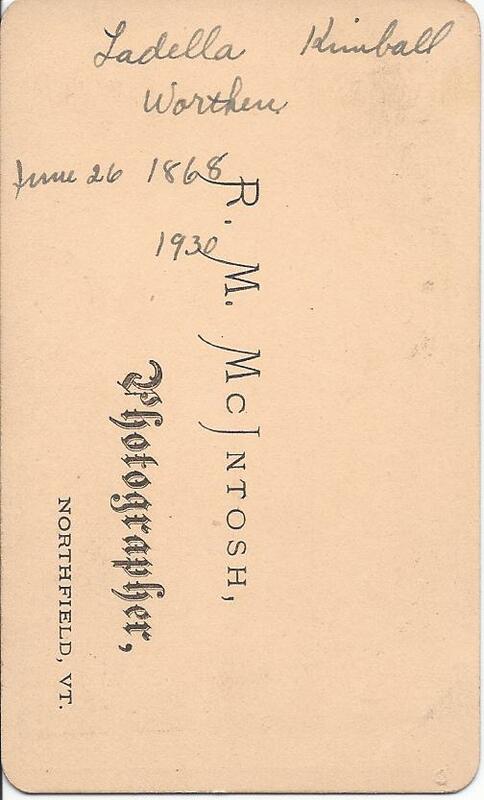 The album was given to her by Maggie Stevenson. Charia Mariani of Barre, Vermont, signed on June 9, 1892. She may have been the Cherry Mariani, born about 1882, daughter of Francis and Annie (Borni) Mariani. Sadly, Cherry died August 22, 1903. Katie E. Murphy of Barre, Vermont, signed on June 9, 1892; middle initial could also be C.
Bernice L. Rouelle of Barre, Vermont, Grade 4.